What’s the first thing that comes to mind when taking your child for a bath? Bubbles? Lots of water? Maybe your kiddo loves playing with rubber ducky, too. No doubt, bath time is one of the most anticipated daily activities for small ones. But be careful. 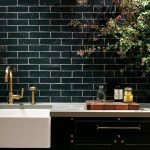 The bathroom, believe it or not, is one of the most hazardous places in your home. Between slippery floors, electricals, and the presence of water, accidents like slipping, electrocution, scalding, and drowning can strike anytime. Make bath time safer! Read this guide to learn actionable tips and reliable products for baby proofing the bathroom. About 10 people die everyday due to unintentional drowning (usually in the bathroom), according to the Center for Disease Control and Prevention. Worse, 20% of these accidents involve children between one to four years old. An unattended child and half-an-inch of water in the same room is a recipe for disaster. So never let your child into the bathroom without you. To prevent unsupervised entry, install a childproof door knob lock. A door knob lock, as you may have guessed, fits over the existing knob. It relies on certain parts and mechanisms to turn the knob, which are too big for small hands and too complicated for little ones to figure out. Check out KidCo’s round and lever handle knob locks. They fit over standard door knobs and come with a pinch-to-open mechanism to keep the kids out. Installation is also a cinch, and you will only need to secure the locks with adhesive tape. For good measure, however, the makers also include screws so you can fix the lock to the door. Another option to look into is the Door Monkey. This baby proofing gear secures the door to the frame to prevent entry. It works with whatever type of handle your bathroom door has, installs in seconds, and has an adjustable mount height, making sure kids can’t reach it. 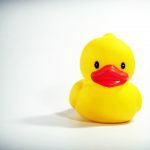 Prepare all the necessary equipment like towels, soap, shampoo, and rubber duckies before giving your child a bath. Keep them within arm’s reach so you don’t have to turn or walk away from your little one. Keep your eyes and hands on your baby. If you need to leave the bathroom for whatever reason, take your baby with you. Empty the tub after bathing. Never leave water in it when not in use. Small children are yet to fully develop coordination. They are top heavy and cannot move with the same sturdiness as an adult. 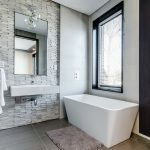 Toss in a wet tub or wet tiles into the mix, and a single misstep can turn bath time into slips, falls, and bumps galore. Use a non-slip mat or rug to give little ones that extra stability and traction after a bath. Not only does a good non-slip mat absorb moisture on the feet. But it also has an anti-skid backing, usually in the form of tiny suction cups that grip the floor. This prevents the mat from sliding across whenever someone steps on it. Add a non-slip mat on the tiles, especially the areas close to sources of water, and in the tub for good measure. 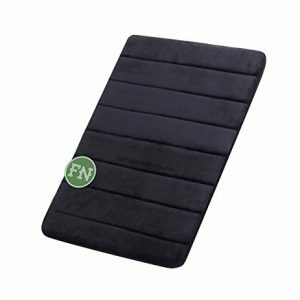 If you’re looking for something that’s easy on the pocket, FindNew’s microfibre bath mat is a well-reviewed budget-friendly option. At 16” x 24”, this non-slip mat can cover a sizeable surface area. The plush velvet surface is gentle to the feet but sports a heavy-duty and antibacterial design. The bath mat also absorbs water rapidly, minimizing the risk of accidents when little ones step onto the tile. All for a price tag that’s less than $10. But as usual with mats, you will want to clean the underside at least once a month. Machine wash the mat in cold water. Otherwise, you are inviting moulds and mildew into your bathroom. Train your child to stay seated and still during bath time. Use child-friendly toys to keep them busy and use constant repetition to reinforce the idea that playing rough inside the bathroom is unsafe behaviour. Wipe spills on the bathroom floor dry as soon as possible. While you’re at it, be sure to pick up tissue paper, small toys, and other tripping hazards. Grab a faucet or spout cover to prevent head injuries. Certain faucet covers, like the Boon Flo, not only protects your child’s head from bumps but also creates a waterfall effect. Handy for rinsing! Hot tap water accounts for 7% to 17% of childhood burns that require hospitalization. In 45% of these cases, the unsupervised victim turned on the tap. Clearly, keeping an eye on your kids is particularly important inside the bathroom. But you should also take extra measures to ensure the water temperature. For starters, you can add an anti-scald device to the faucet or shower. 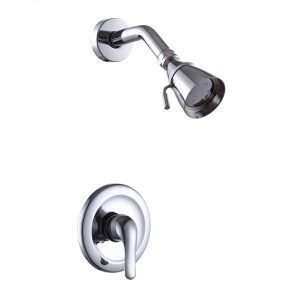 If you want something that’s not only utilitarian but also elegant, KES’ pressure balance shower faucet set is an excellent choice. It sports a stylish and high-quality brass build, ensuring longevity. More importantly, however, the faucet set has a pressure balancing and ceramic temperature regulating cartridge. Add the adjustable temperature limit and integral stops and this unit has all you need to ensure you or your little ones don’t bathe in hot water. If you want to be able to tell whether the water is too hot or cold at a glance, you’ll want to look into thermochromic anti-scald options. These devices change colours depending on the temperature. Even with a reliable anti-scald shower or faucet, however, testing the waters before showering or putting your child in the bath is always a good idea. Keep an eye out for other scalding hazards like pipes, radiators, and towel rails. If any of these are low enough for children to reach, cover it with insulating material. 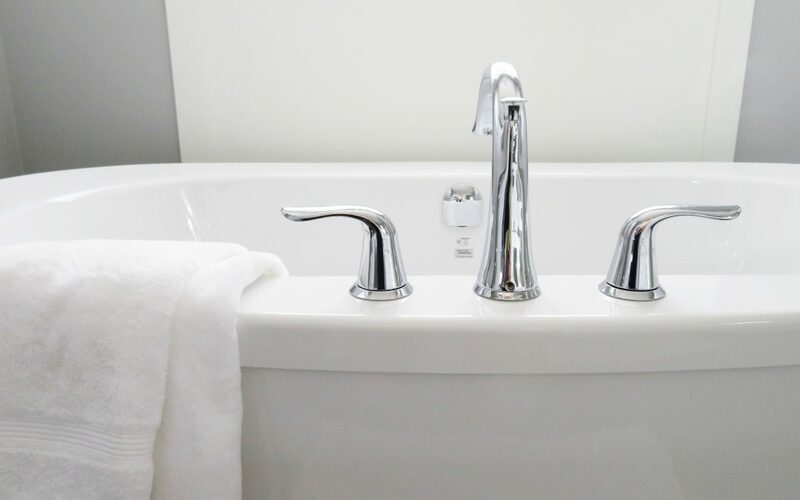 A good rule of thumb when preparing a bath: cold water first, hot water next. Remember, however, that a child’s skin is far more sensitive than an adult’s. To make sure the water temperature is safe, check it using a thermometer. Set your water heater’s temperature to 48.9 degrees Celsius or lower. If you love hot baths, the water won’t be as hot as you’re accustomed to. But taking this step ensures scalding accidents don’t happen. The combination of appliances, electric sockets, and lots of water in the bathroom pose serious electrocution risks. Even a small amount of water on the skin reduces the entire body’s electrical resistance. The lower the resistance, the higher the risk of shock. And when fully submerged under water, the resistance drops down to zero! Consider getting a ground-fault circuit interrupter (GFCI) to protect your family from electrocution. 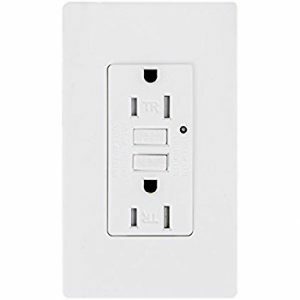 A GFCI is a special type of outlet that monitors the amount of electrical current flowing. If the outlet senses any imbalance in the current, such as when it comes into contact with water, it trips the circuit as quickly as 0.3 seconds. New constructions where water and sources of electricity sit close to each other require GFCI’s. 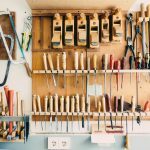 For older homes, however, you will need to install one. Topele’s GFCI outlet clocks in at a little more than $10 and adds a lot of electrical safety features to the bathroom. The unit comes with everything you need for the installation along with two different wall plates to suit your bathroom’s interior. The GFCI not only meets several safety standards, including NEC’s. But it also has a tamper resistant design, handy for when small children try to fiddle with the outlet using any foreign object. And with a one-year warranty added into the mix, it’s easy to see why this GFCI earned more than 140 five-star reviews on Amazon. Do you love blow drying? Maybe you also blow dry your child’s hair in the bathroom? If you do, use a towel to absorb as much water from their hair and body as possible. This step goes a long way in preventing water from coming into contact with electricity. Naked light fixtures can cause electrocution or even fire when exposed to water or steam. So cover ‘em bulbs! If that’s not possible, ensure they’re out of you and your child’s reach at least. The usual light switches are also an electrocution risk due to frequent contact with moist hands. Consider replacing them with pull-cord switches. Unplug any gadget or appliance that’s not in use. You also get bonus points for saving energy! If a child isn’t supposed to get his or her hands on something, put that something out of reach. Appliances, medicine, cleaning solutions, and even vitamins must be kept in a shelf and away from plain sight. You can’t escape bath time (and you wouldn’t want to even if you could) and the safety risks that come with it. With the baby and child proofing tips we outlined in this brief guide, however, we hope that soaking in water and making bubbles in the bathroom stay as a fun and relaxing affair for you and your child. Candice Whitlock is the mom blogger behind BabyLic. Being a mother to an active young girl, she loves reading and sharing her experiences about all-things parenting and home improvement. Some really sensible advice and great ideas in here – it only takes a careless second, so prevention is everything. Thanks! You’re right, prevention sure is everything!